Grab Atlus games at 50% off until August. Most gamers know Atlus best for bringing a whole slew of quirky, niche JRPGs stateside. 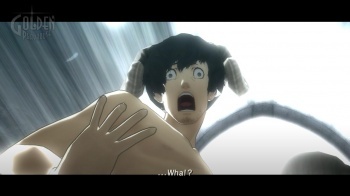 From the demonic Persona series to the puzzling Catherine, Atlus has delighted some with a taste for the weird, alienated others who prefer games on the easy side, and earned a lot of credit among the core gamer crowd for trying new things, even though they don't always work. If you missed some of Atlus's bigger titles the first time around, no need to worry: Atlus and PSN have you covered all through July. The "Half Off Just About Everything for Just About a Month" sale brings some of Atlus's biggest titles, including the PSP Persona games and Catherine down to just 50% of their former cost all month. Only a few PS3 titles made the cut: Catherine, Trine 2, and Rock of Ages are the biggest draws, but Droplitz and The Cursed Crusade may pick up a few stragglers who missed them on the first pass. The PSP selection is much stronger, although it is almost entirely focused on RPGs. The first three Persona games range from $10 to $20, and the entire Dept. Heaven trilogy can be had for $5 to $7.50 per game. You can peruse the entire HOJAEFJAAM list to see if anything matches your taste, but you're almost guaranteed to find something in your budget. Besides, if you've recently acquired a Vita, now is the perfect time to fill it with some games to while away the hours until Persona 4 Golden hits.